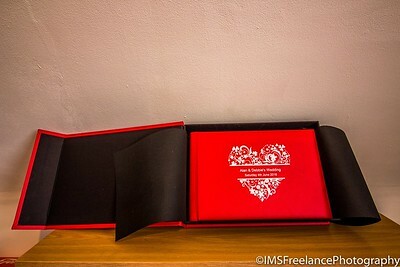 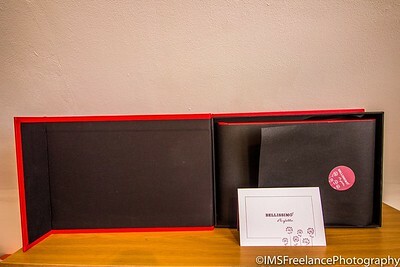 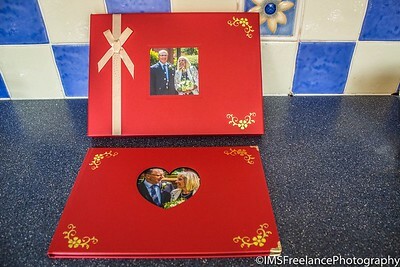 The photo book package which my freelance photography business currently offers to clients. 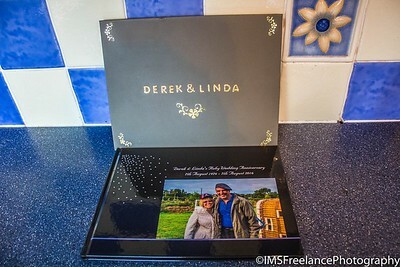 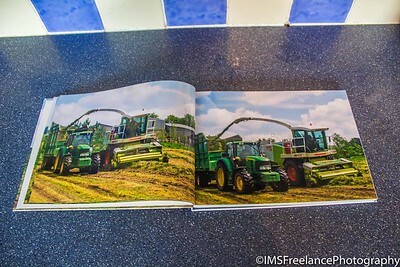 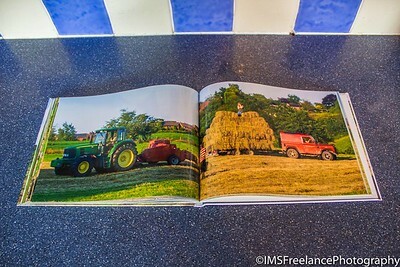 Photo book packages have been designed and produced before being handed over to various clients within various sectors which include agriculture, travel/tourism & farm shoot events but to name a few. 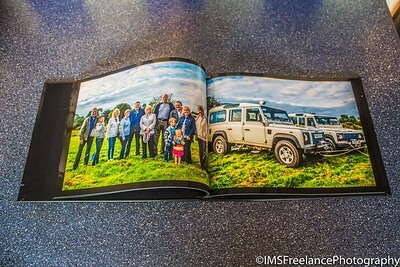 1 x A4 Landscape photo book which contains all photos requested by the client from the day which are all designed and printed in full gloss effect. 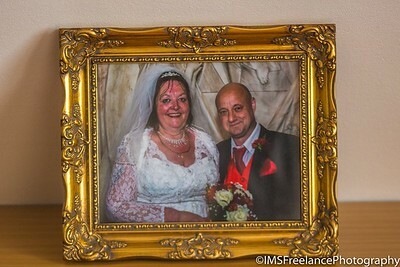 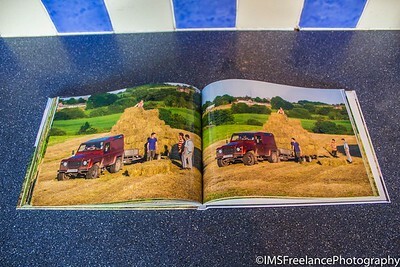 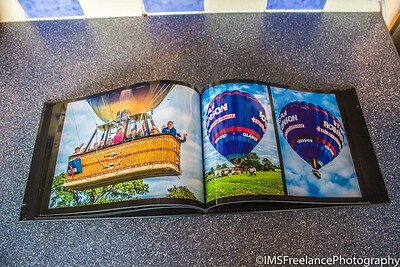 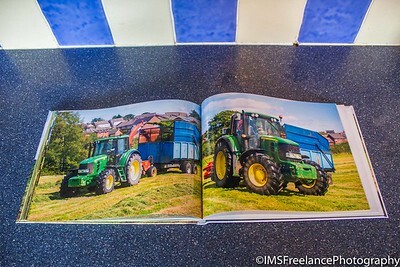 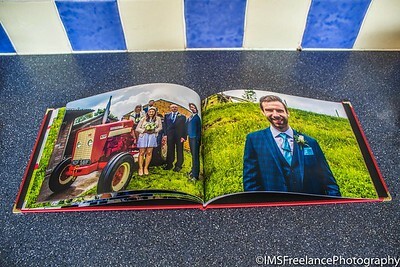 All photos are also printed 1 to a page as clients have previously mentioned that they prefer this layout. 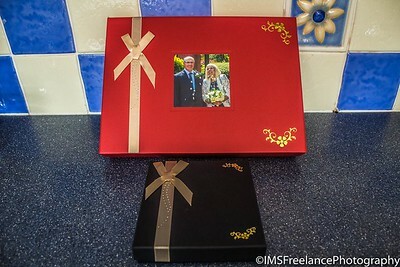 The Special occasion product range has recently been designed and produced before being handed over to the Rodgers family who I recently was the official photographer for at their ruby wedding celebrations at Trentham in Stoke-On-Trent. 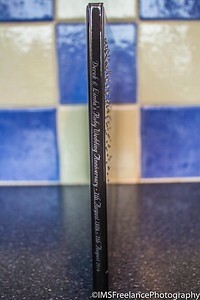 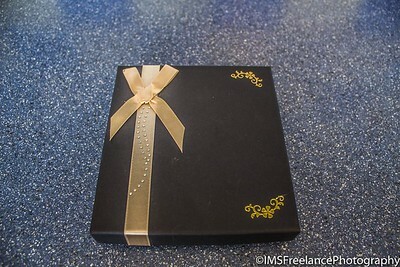 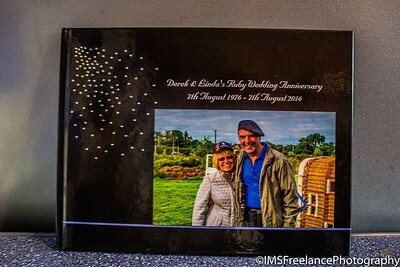 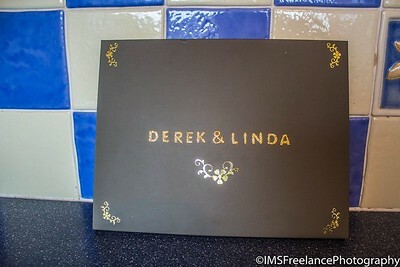 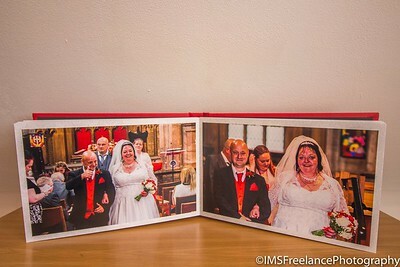 1 x 26 page A4 Landscape photo book (currently only available in black) which is crystallised with swarovski elements. 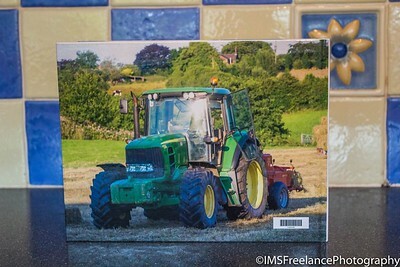 Photographic prints which my freelance photography business currently offers to clients. 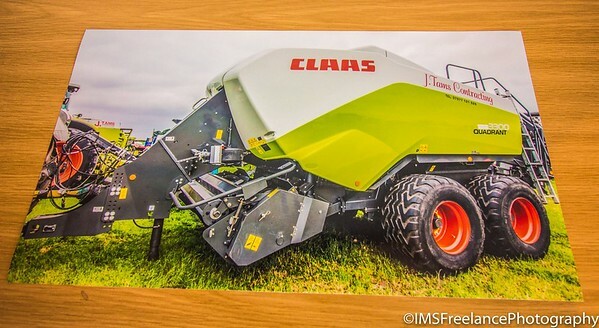 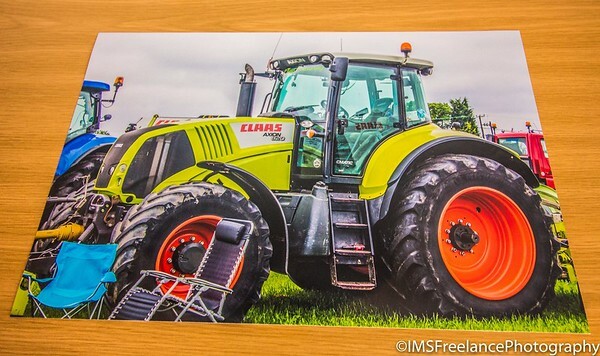 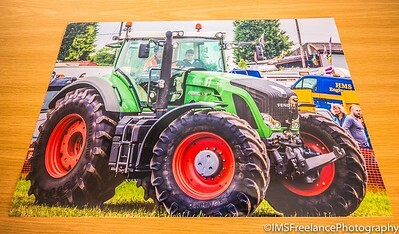 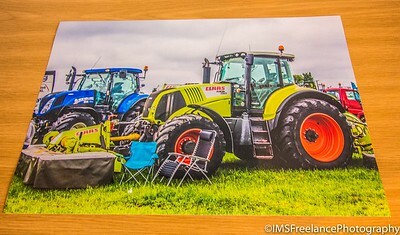 Photographic prints have been designed and produced before being handed over to various clients within various sectors. 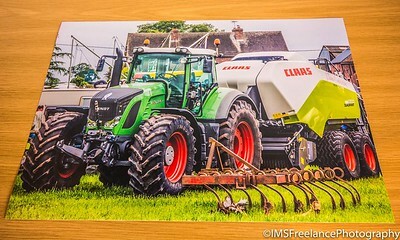 All photographic prints requested by clients from the day are all designed and printed in full gloss effect. 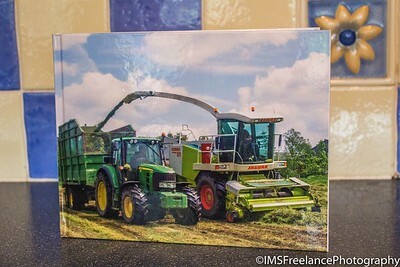 Furthermore prints can be ordered in a wide range of sizes and can be either professionally produced as a normal print, or can be mounted on card and professionally framed for an additional cost. 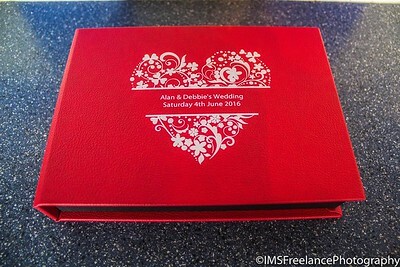 The first of the four main wedding packages which my freelance photography business has designed which is currently offered to clients. 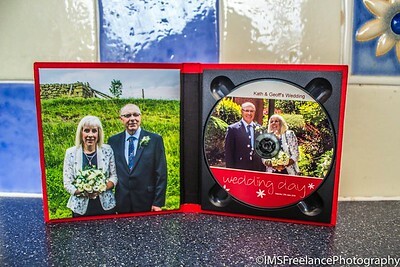 Wedding package 1 has recently been designed and produced before being handed over to Kath & Geoff who I recently was the official photographer for at their wedding in Leek (Staffordshire). 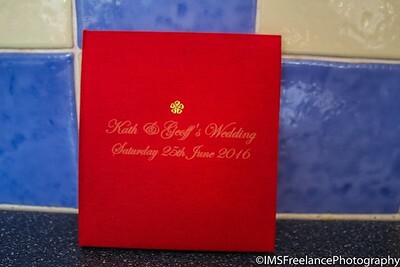 The second of the five main wedding packages which my freelance photography business has designed which is currently offered to clients. 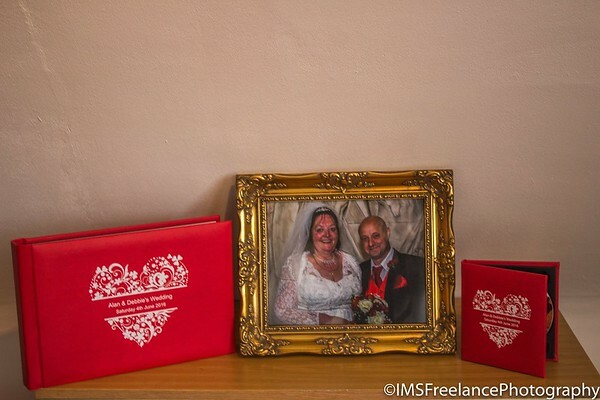 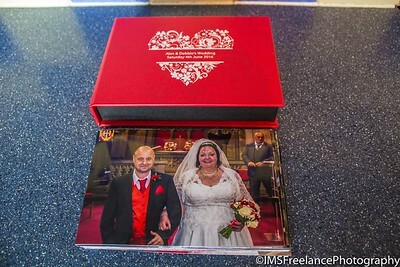 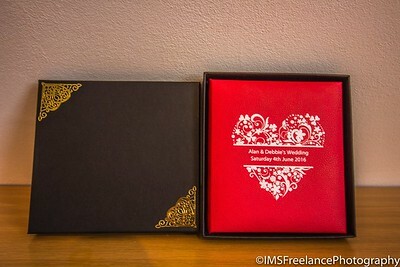 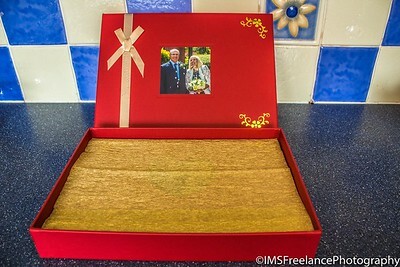 In addition to the four main wedding packages which my freelance photography business has designed, my freelance photography business now offers a fifth package which consists of a photographic prints box and photographic prints. 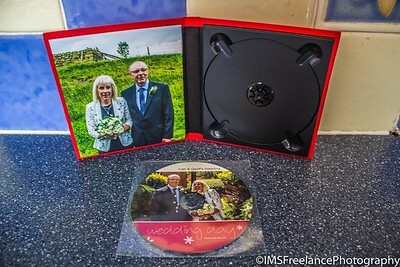 This particular wedding package was recently designed and produced for a guest who attended Alan & Debbie Goodwin's wedding which I was the official photographer for. 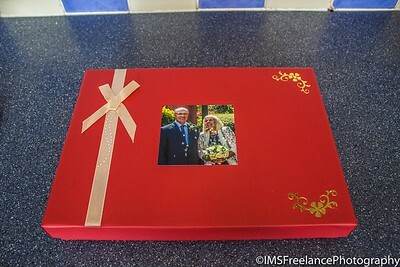 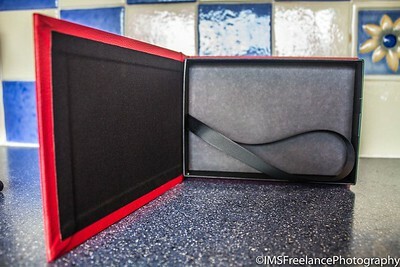 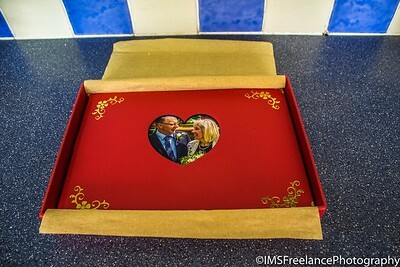 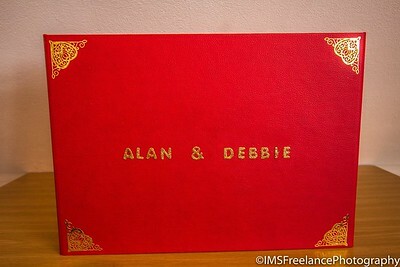 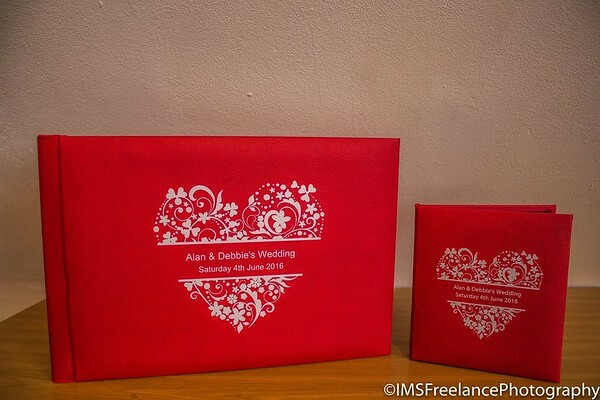 1 x 7.5 x 5 photographic print box with a red leatherette cover finish and personalised design and text engraving. 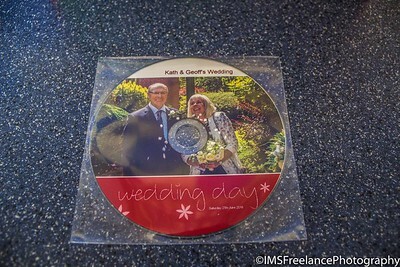 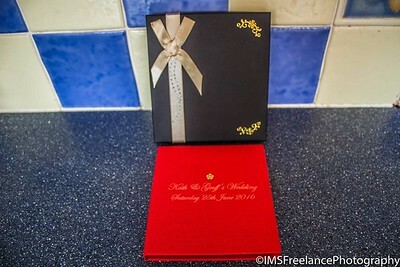 With the introduction of the new wedding packages which my freelance photography business will design and produce, clients will be able to choose either a leatherette or leather finish for their main album and CD case which will be available in a range of colour options. 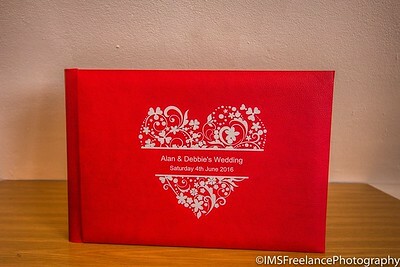 This option is ideal for clients who want to colour co-ordinate their wedding package. 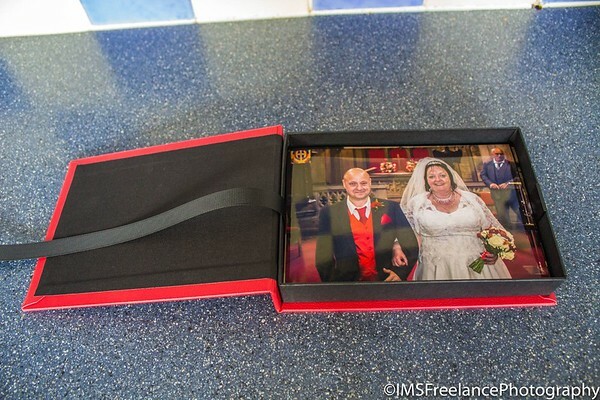 With the introduction of the wedding packages, I've now introduced a new range of framing options that can be chosen for photographic prints either as a standalone framed print product or within one of the wedding packages. 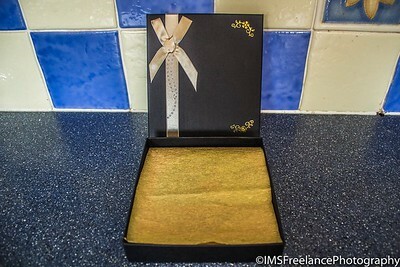 When meeting with clients, they will be given the opportunity to choose their perfect frame from the collection of 6 inch frame chevron mouldings that are attached to the specially designed frame moulding board. 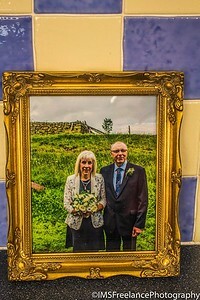 Clients can also coordinate with a selection of coloured mounts which can be chosen to meet their perfect frame selection.